I need to stay away from Zara! One of my favourite things about Zara is that the styles every year are always different. Yes, they have staple pieces that don’t change but their seasonal clothes do. It annoys me how in some high street stores the clothes are pretty much the same every year but shock shock it’s in a different colour this season!! Correct me if I am wrong but I think it is a trend amongst the Spanish shops that they change their styles every year and I love it! I went to Madrid a few years back and loved it and the shopping (which reminds me I need to do a blog post on Madrid). 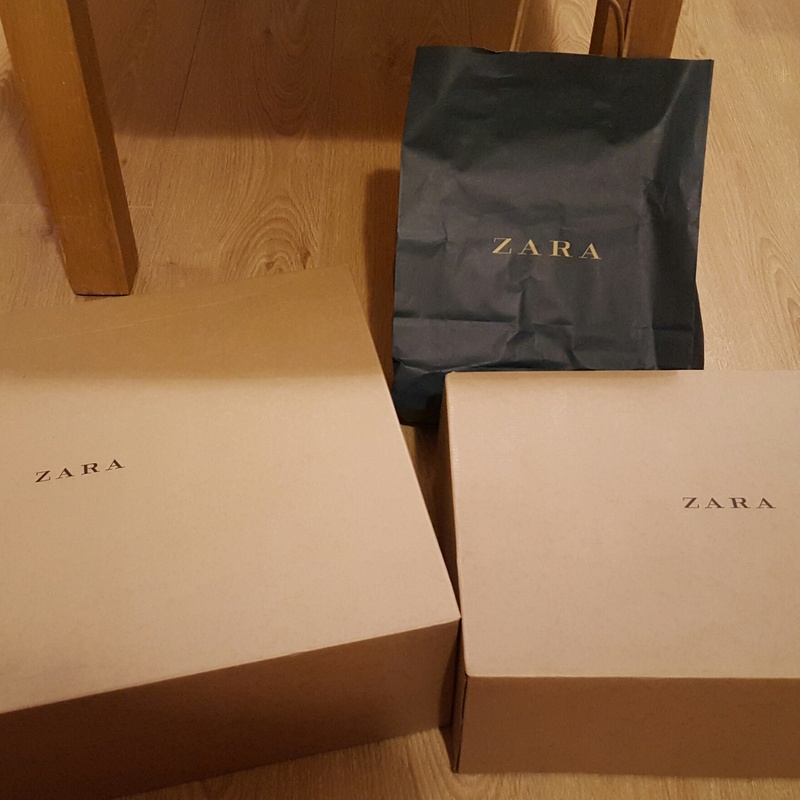 Anyway back to the point, I went onto the Zara website recently on a lazy day and purchased a few pairs of shoes in the sale. Serious bargains on their shoes and they had some clothes left as well. I got these black boots and wore them out last weekend. They were reduced to €12.99 from €39.95, and they are pretty comfortable. They are higher in the leg then most of my ankle boots so they feel a bit strange but I hadn’t a bother walking around Dublin in them. 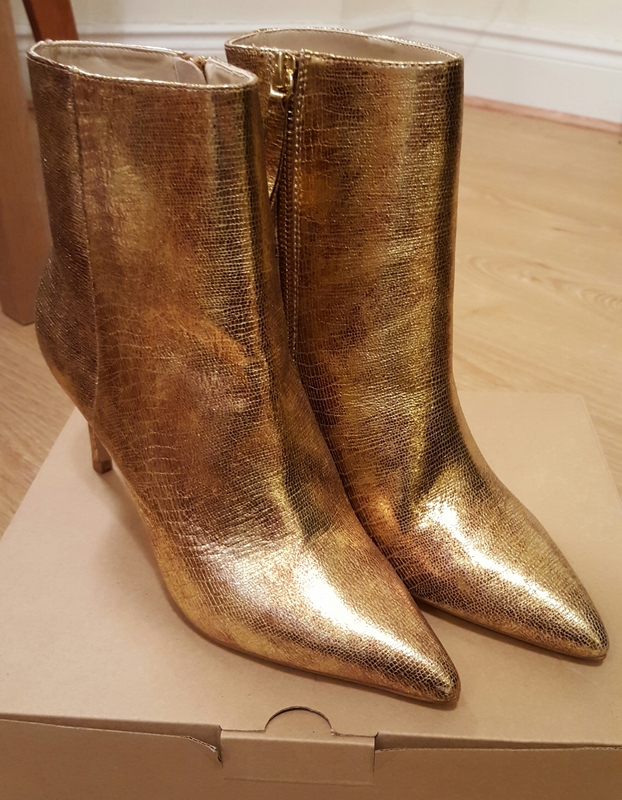 I got these gold boots as well, I wasn’t overly sure about them but they could be really nice with a skirt or dress and for €12.99 for leather boots I couldn’t say no. They were reduced from €69.95 to €12.99 and they still have some online. They were nicer then I was expecting when I got them and I am pretty happy. 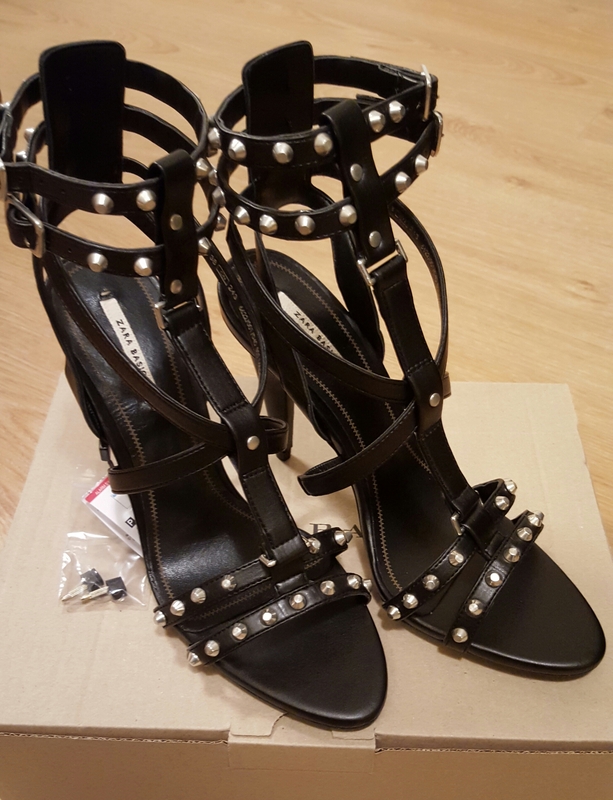 I bought these studded black sandals, definitely something handy to have in the wardrobe and they were only €9.99 reduced from €59.99! 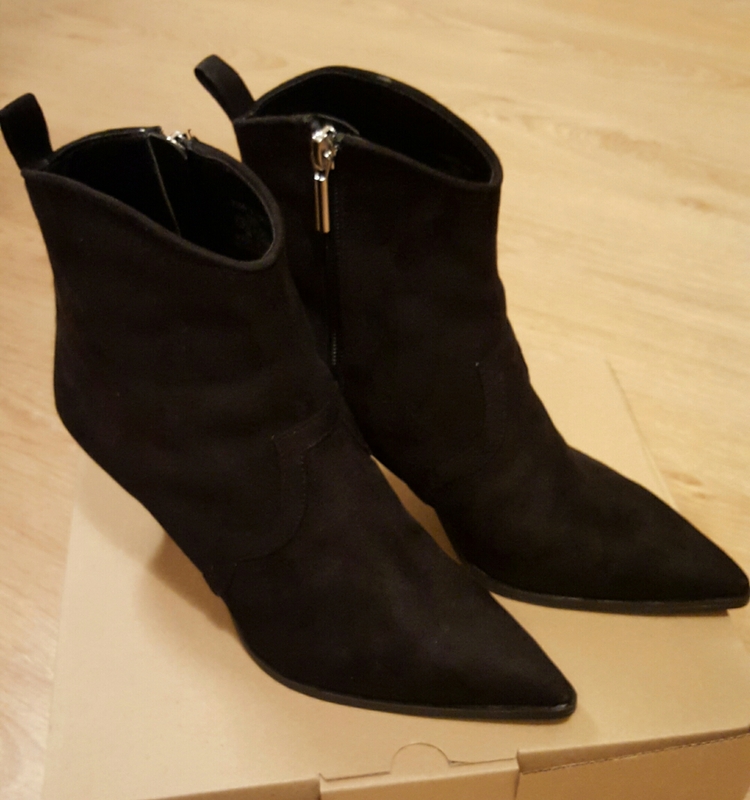 I ordered all of the shoes online and got them delivered to a store in Dublin. 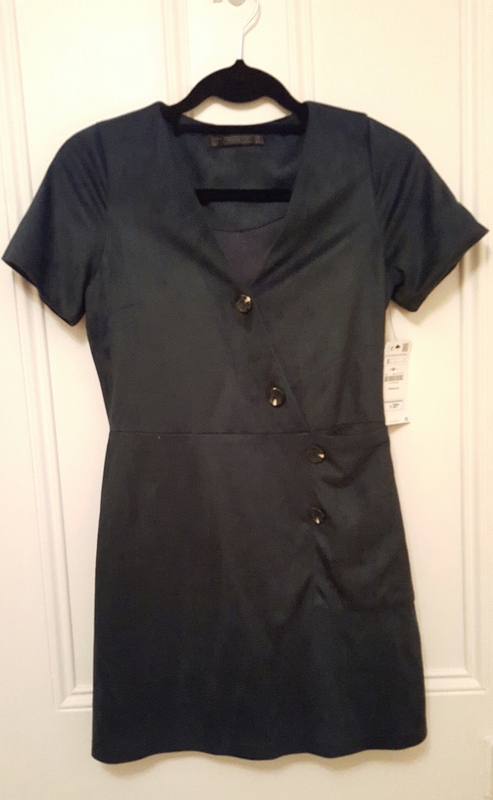 Sure when I was going into collect the shoes I had to have a look around the shop and picked up this dress, I love it!! Those studded heels are just gorg!! !